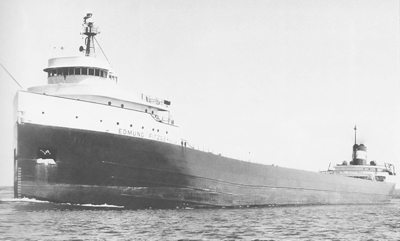 On Friday, April 24 at 7:00 pm, the John Knox Performance Series will present Verb Ballets in a production of Geoffrey Peterson’s Edmund Fitzgerald, a concerto for piano and strings, choreographed by Richard Dickinson. The performance will be held in Trinity Hall at John Knox Presbyterian Church in North Olmsted. 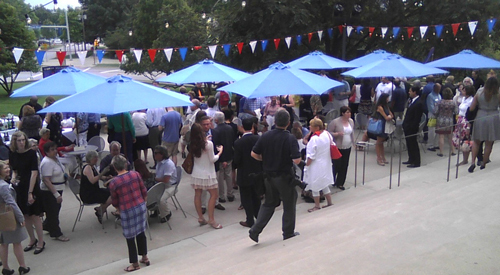 Seating reservations required: see our concert listings page for details. 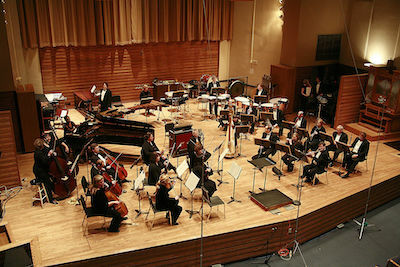 Dickinson’s choreography of Peterson’s concerto was premiered during the 2014 NEOSonicFest. Prior to the premiere, ClevelandClassical.com spoke to Richard Dickinson and Geoffrey Peterson about the work. The following preview was originally published on March 26, 2014. 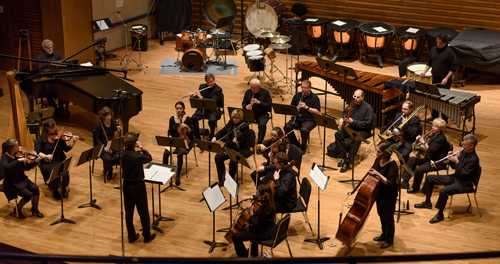 “What I think is great about NEOSonicFest is that the groups that are performing are a good balance and represent what is going on in the music scene here in Cleveland,” Ensemble HD and Cleveland Orchestra principal flutist Joshua Smith said recently by telephone. 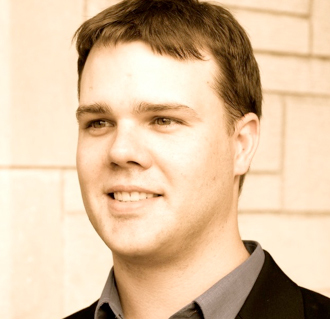 “I think people will find there is a broad spectrum of musical examples of what the term New Music means.” On Sunday, March 30 beginning at 7:30 pm in Harkness Chapel at Case Western Reserve University, Ensemble HD with special guests Verb Ballets, will feature music that represents a variety of musical styles and combinations of instruments. 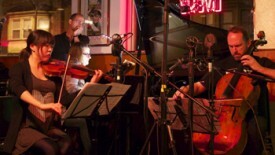 Ensemble HD first gained national attention by bringing classical music to new audiences with their performances at the Happy Dog Bar on Cleveland’s near West Side (above). 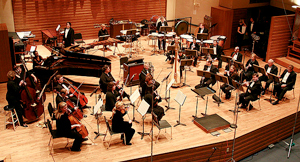 Led by Joshua Smith, the ensemble includes pianist Christina Dahl, associate professor of music at SUNY Stony Brook, and four of Smith’s fellow Cleveland Orchestra members: violinist Amy Lee, oboist Frank Rosenwein, cellist Charles Bernard, and violist Joanna Patterson-Zakany. Nearly a quarter-century ago, composer-conductor Edwin London founded the Cleveland Chamber Symphony at Cleveland State University. With the directive of performing “music of our time that dares to explore”, CCS developed a reputation and a dedicated following for offering professional performances and recordings of new works, and, along the way, copped an impressive list of awards including a Grammy. After London retired, a series of hosting, leadership and funding vicissitudes left the organization essentially homeless but doggedly determined to keep itself alive through new relationships with the Cleveland Music School Settlement and Baldwin Wallace University. 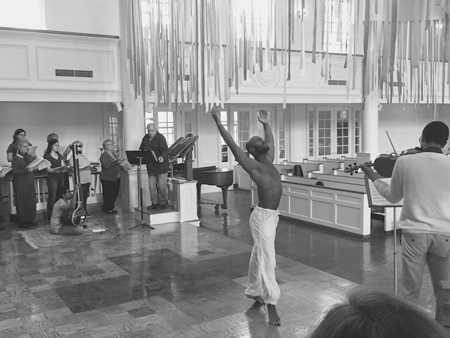 Its “Meet the Composers” and “New and Emerging Composers” series have continued on an annual basis, and last season CCS teamed with Verb Ballets for performances at Cleveland Public Theater.